Our team is led by four professionals who have over 60 years combined experience in managing projects. Mark has nearly 20 years in the renewable energy sector, with a broad range of experience in business development, consulting, construction and strategic planning. 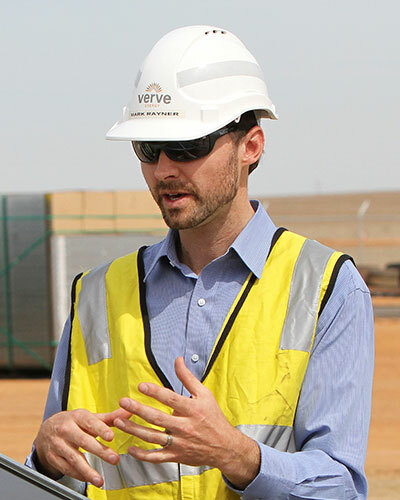 Mark has been involved in projects all across Australia and has experience with a wide range of technologies. Mark’s university degree in engineering, furthered by his Masters studies, has provided him with excellent analytical and problem solving skills. 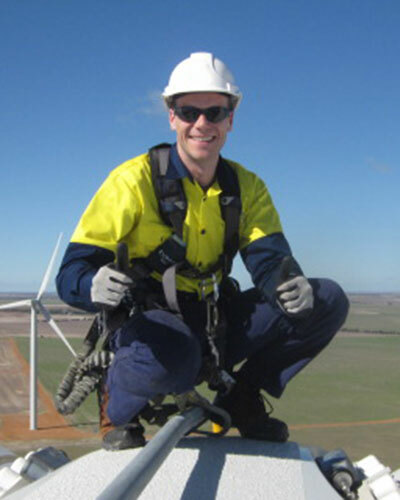 These skills, combined with his passion for renewable energy and his ability to relate and empathise with people, has allowed him to lead and inspire teams in the successful development of a number of renewable energy projects. Mark has an in depth understanding of all facets of renewable energy project development including: resource analysis, technology assessment, economics and financial modelling, offtake arrangements, transmission network access arrangements, EPC and O&M contractual negotiations, land and environmental/development approvals, and stakeholder relations (government, local and media). Mark has excellent communication and presentation skills, strong analytical and problem solving capability and the ability to lead and manage project teams within a high pressure environment. Mark has a successful track record of taking projects from inception through to financial close. Linda is an experienced project professional with over 19 years’ project experience within the energy sector; ranging from renewable energy, power transmission and distribution, telecommunications and mining. In addition to a Bachelor of Electrical Engineering, Linda holds a Masters in Project Management (Engineering) in which she completed whilst working full-time for Siemens in Melbourne. She is also a Member of Engineers Australia. 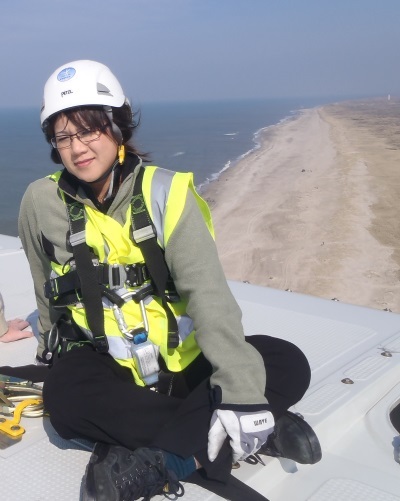 In her various roles as either a Project Engineer or Project Manager, Linda has been involved in projects over the lifecycle, from conceptual design and development to managing EPC contracts. Throughout her career, she has managed project teams (internal and contractors) of varying sizes, including mentoring university students and graduate engineers. Her site based project experience has seen her travel within Australia and overseas. Amongst these include 18 months in Mt Whaleback, Newman, WA; remote indigenous sites in NT; TAS for 33kV GIS switchboard installations, NZ and the Philippines. One of Linda’s recent inspirations was attending Crown Prince Frederik’s address at the European Wind Energy Association conference, where he supported Denmark’s 100% renewable energy target by 2050, and wishes that the Australian government have similar ambitions…but is not holding her breath! In her previous positions, Linda was appointed the Verve Energy Merger Program Manager and played a key role in merger implementation kick-off of workstreams between the two organisations. Key stakeholders included PUO, Merger Board and CEOs and the wider Verve Energy and Synergy organisations to achieve Day 1 deliverables. Linda also worked together with James to attain development approval for a 250MW wind farm in WA. Some of her most recent achievements include key roles in supporting two clients with their grant applications in which they both received government funding for their large scale renewable projects. Her ideal world is coloured green. James holds a Masters in Renewable Energy Systems Technology from Loughborough University (UK) and is a Certified Project Management Professional (PMP) and PRINCE2 Practitioner. He has over 17 years’ experience developing renewable energy projects in the UK, Europe and Western Australia and has a broad in-depth of knowledge in managing projects from concept to operation. James is highly experienced in motivating and project managing multi-disciplinary teams and very competent in negotiating the requirements of all stakeholders to achieve a successfully operational project. James has worked in varying roles within small start-up and large multinational organisations and has used his enthusiasm, commercial acumen, technical ability and relationships to achieve project successes. 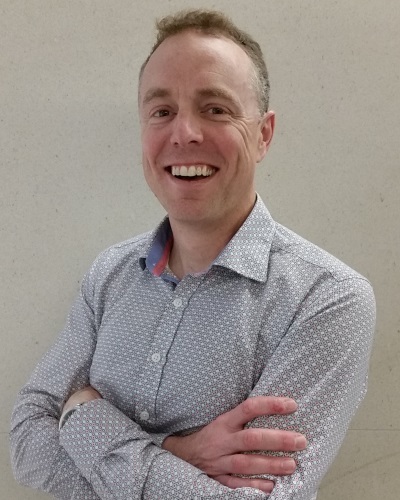 James is active within the renewable industry and has been a member of the Clean Energy Council’s Wind Directorate and of the RenewableUK’s Aviation Strategy Group and Onshore Wind Farm Development Group. Paul has a comprehensive work background in the construction, mining and resources sector. The 12 years prior to joining the Lacour team, he was engaged predominantly in commercial roles with significant time on site supporting very large multinational mining projects. He has recently completed an MBA, further developing a keen passion for quality project management and development. Paul has been involved in multiple feasibility studies as well as being immersed in complicated construction builds particularly focusing on contractual negotiations and management. Previous experience involving sourcing power solutions for major projects gave Paul a valuable appreciation for the amazing potential of renewable resources which helped him decide to join the Lacour team to develop renewable energy projects. When Paul has any spare time, he loves being with his wife and children and riding his bike up hills.